The regulatory development opens the way for the institutional-grade bitcoin exchange to deal with EUR fiat payments globally. 24 November 2017, Gibraltar – Globitex, the new bitcoin exchange co-founded by early bitcoin adopter and former Executive Director and a Founding Board Member of the Bitcoin Foundation Jon Matonis, marks a significant milestone in its journey to make bitcoin a truly global currency of settlement. Globitex Holding (Latvia) group company NexPay UAB has been granted an e-money license (EMI) by the Bank of Lithuania to carry out payment services and e-money issuance in the EU. This opens a series of doors for Globitex exchange, enabling it to take an important step closer to its goal of dramatically increasing bitcoin trading volumes in order to facilitate its use right across the spectrum of commodity and money markets. Current operating entity of the Globitex bitcoin exchange is a UK-based Globitex group company. Whilst bitcoin is currently making new highs, there is still the fundamental economic issue that order-book depth and liquidity cannot support very large trades. Although bitcoin offers enormous advantages for international settlement due to its speed and low cost compared to legacy money transfer services, it cannot yet serve as a currency of international trade settlement across the world’s financial markets. I look forward to this evolution of digital currency trading platforms that ensure futures contracts with a physical delivery component. Strong connection to the spot markets, including contract limits and physical delivery that is linked to provisioned commodities, will serve as the market standard for price integrity. The aim of Globitex is to facilitate entry into the bitcoin market for a new generation of customers, both retail and institutional-level traders, enabling the increase in value and stability that will allow commodities like crude oil, gold, coffee and other financial instruments to be priced directly in bitcoin. Acquisition of the EMI license brings with it the possibility of integrating with the SEPA euro payments system directly through the Central Bank of Lithuania. This will enable NexPay to clear euro payments directly, without the involvement of commercial banks, and to issue IBAN accounts to Globitex clients just like banks issue accounts to clients. This is a huge step forward in terms of accessibility. The regulatory green light for the EMI license is a leap forward in the development of the bitcoin and broader cryptocurrency industry. This sets a new level of legitimacy for cryptocurrency overall, moving towards widespread adoption. Crucially, the newly-issued EMI license is fully ‘passportable’ to all other EU member states, allowing NexPay to provide clients with payment services and e-money issuance across all 28 countries. 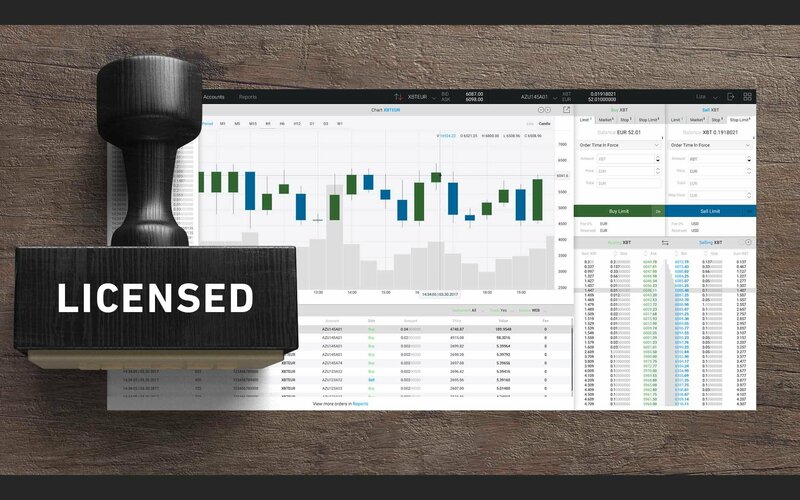 Globitex is looking to set new cryptocurrency trading standards not only technologically, or by commodities-linked product offering, but especially in Globitex’s legal setup, ensuring safe passage to the digital age. Globitex group is holding a token sale to fund the scaling of its existing exchange infrastructure into a commodities spot and derivatives exchange for bitcoin. The GBX utility token will be issued on the Ethereum blockchain. GBX will be used to pay trading fees and reward exchange users and liquidity providers. The GBX token will be sold for the equivalent of EUR 0.10 in Bitcoin (XBT), Ether (ETH) and Bitcoin Cash (BCH), with significant discounts for early participants. For more information, visit https://Globitex.com or to participate in the token sale visit www.GlobitexICO.com.